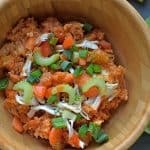 Slow Cooker Three Bean Chili with Quinoa is a perfect blend of vegetables, spices, and protein-packed beans. 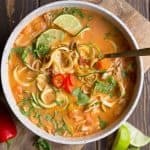 Throw everything into your slow cooker, and forget about it! 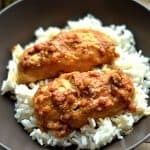 An easy and delicious dish! 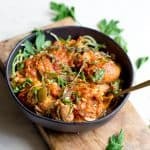 This chili is the ultimate comfort food that is also so nutritious! I love how simple it is to throw together, and everything tastes absolutely perfect. 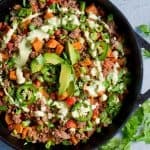 Any meat lovers can also get behind this yummy chili, I promise you won’t even miss the meat! 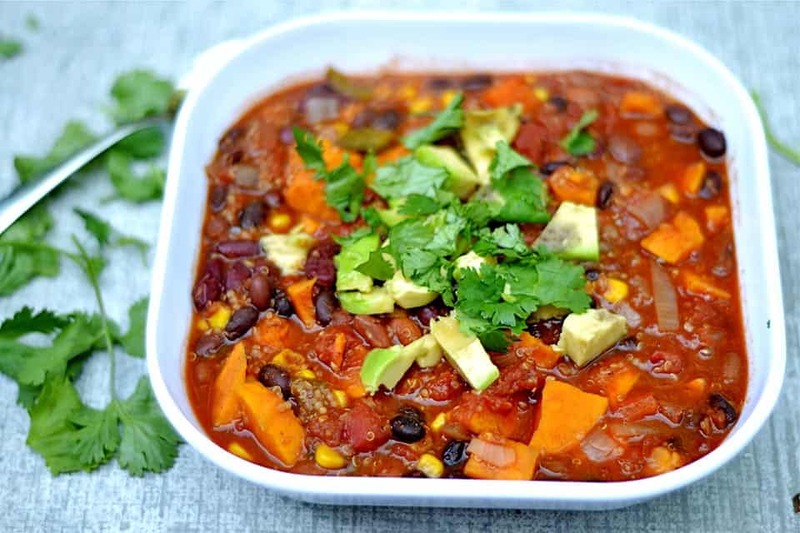 I’ve combined three different beans, sweet potatoes, corn, tomatoes, quinoa, peppers, and a blend of spices that give this chili the perfect kick. If you read my recent post and recipe for Chocolate Zucchini Bread, you will know how much of a fan I am of Dr. Hyman. In his Blood Sugar Solution book, Dr. Hyman is consistent about healthy food being used for long-term health and prevention of diabesity (obesity + diabetes). 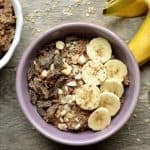 By eating meals that keep our blood sugar at an even level, we can prevent insulin resistance. 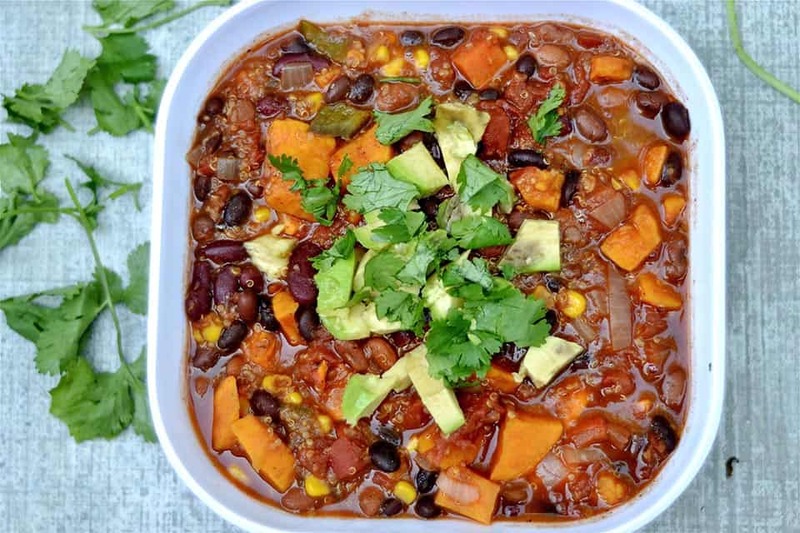 This three-bean chili was inspired by his “rules” for eating the blood sugar solution plan and also contains a healthy amount of vegetables and protein. 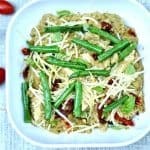 I wanted to create a tasty dish for a few of my clients who are following a strict gluten-free, dairy-free plan consistent with the Blood Sugar Solution. 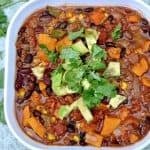 This chili was a home run for me and my kids! BTW, the giveaway of the Blood Sugar Solution Cookbook ends on Wednesday, October 21st! Mix together the spices in a small bowl. Set aside. Prepare your vegetables: peel and chop the sweet potato into small chunks, chop both peppers into small pieces, and dice the onion. 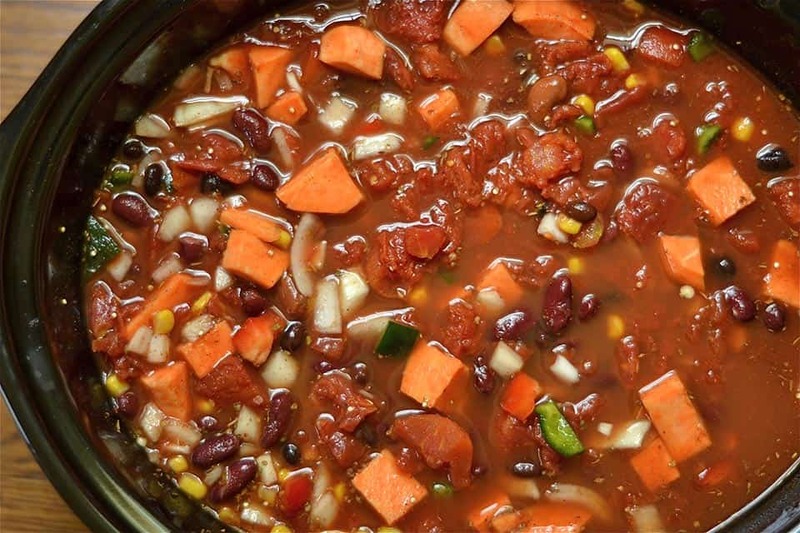 Add beans, vegetables, quinoa, spices, tomatoes, and broth to slow cooker. Cook on low for 4-6 hours. Serve with your favorite toppings: chopped fresh cilantro, avocado, or green onions. Tried this recipe at home. While the flavors are great, I found 6 hours on low to not be enough time to cook the sweet potato :/….